Holiday crafting has officially begun in our house and I can’t wait to show you what we’ve been up to! Here is a craft you can do with the kids at home or in the classroom. 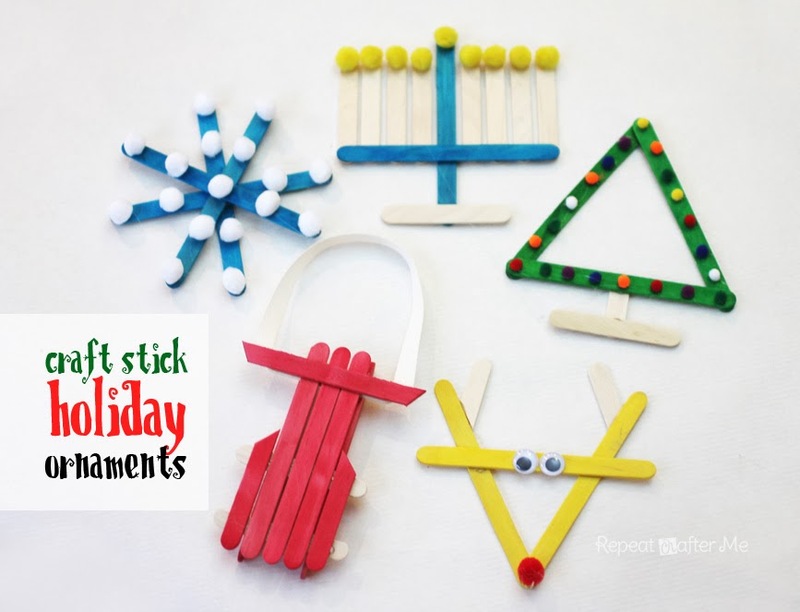 These craft stick ornaments are easy to put together and pretty much mess free thanks to a couple of materials from craftprojectideas.com! 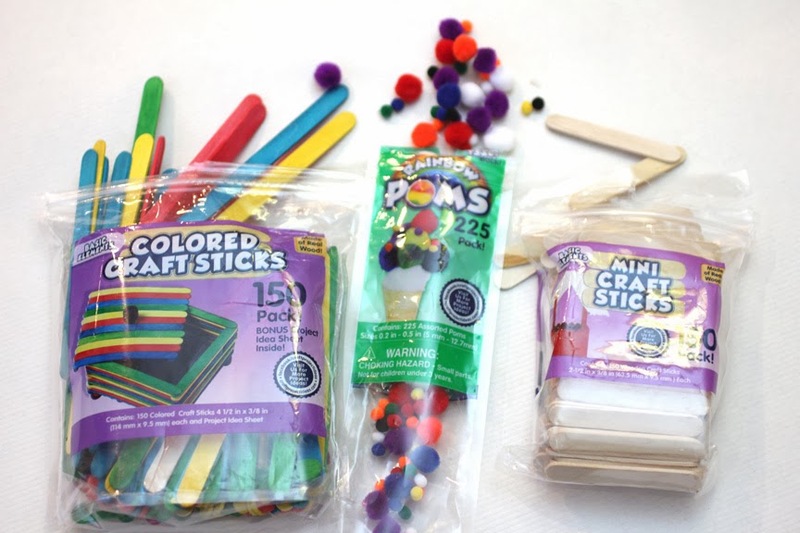 You will need Colored Craft Sticks, Rainbow Poms, and Mini Craft Sticks. All of these items can be found in Walmart stores or online at craftprojectideas.com. You can choose to use Elmer’s glue or a hot glue gun to glue your sticks together. 1. Snowflake: 4 blue craft sticks, 17 white poms. 2. 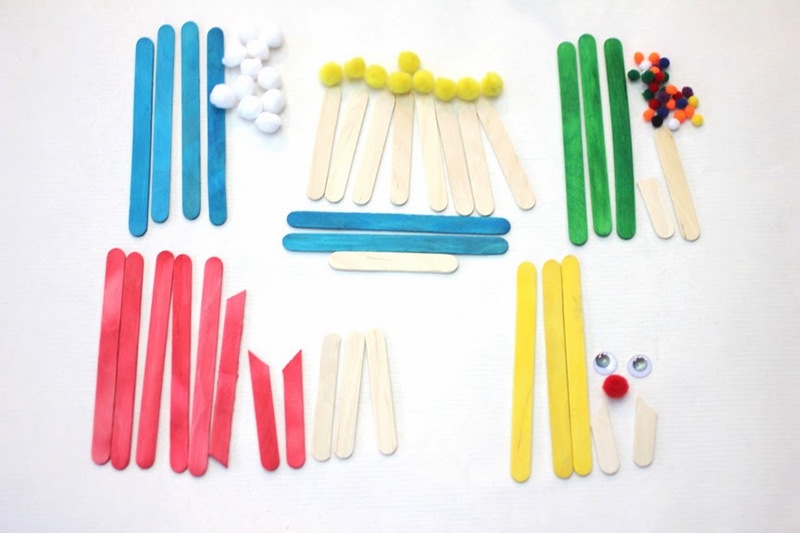 Menorah: 2 blue crafts sticks, 9 mini craft sticks, 9 yellow poms. 3. 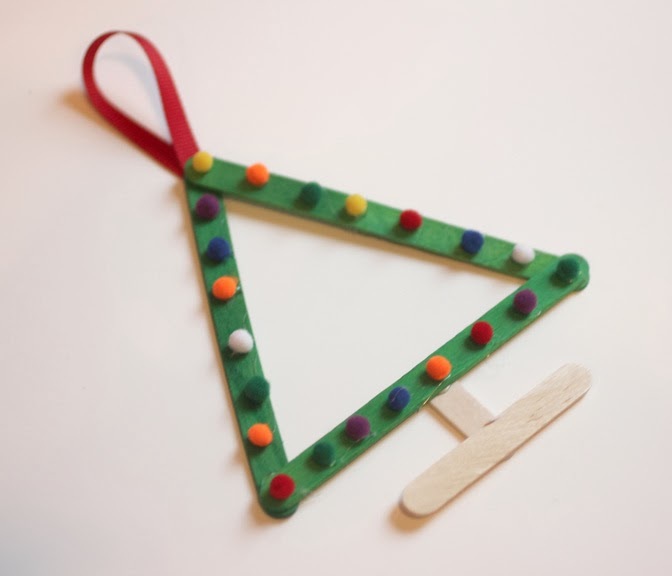 Christmas Tree: 3 green craft sticks, 1 mini craft stick, 1 mini craft stick cut in half, approx. 20 tiny poms in assorted colors. 4. 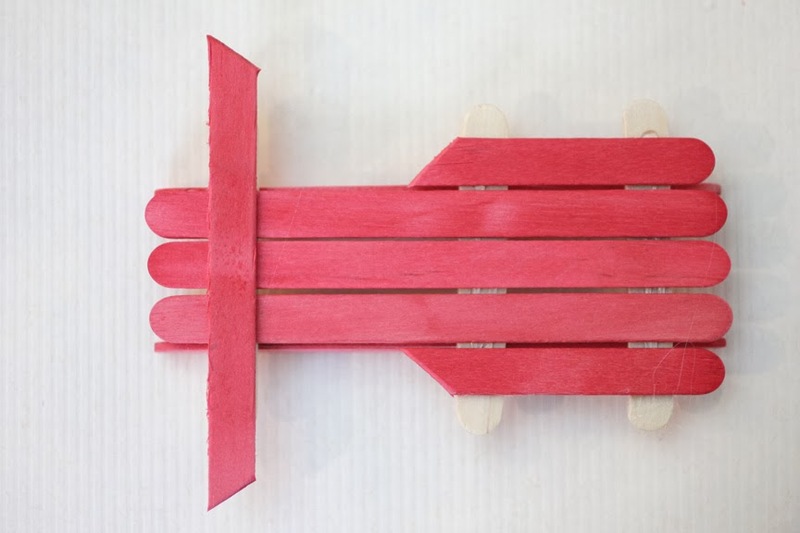 Sled: 5 red craft sticks, 1 red craft sticks trimmed diagnally on both ends, 1 red craft stick cut in half diagonally, 3 mini craft sticks. 5. 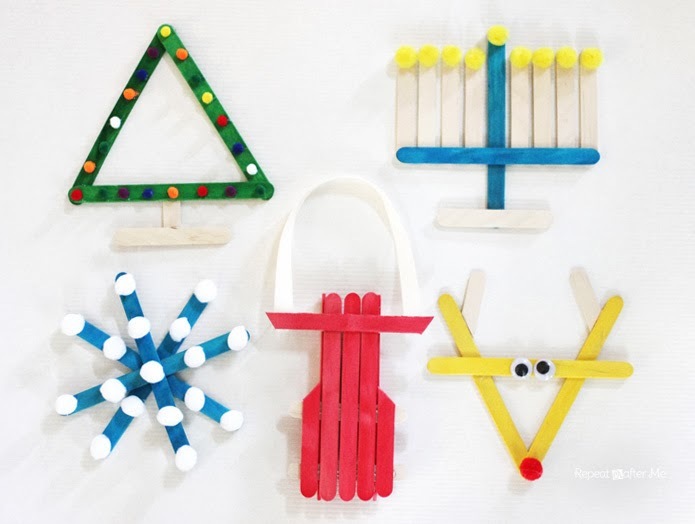 Rudolph: 3 yellow craft sticks, 1 mini craft stick cut in half diagonally. 2 wiggly eyes, one red pom. I think all of the ornaments are pretty self explanatory on how to put them together except for the sled. So let me walk you through that one. 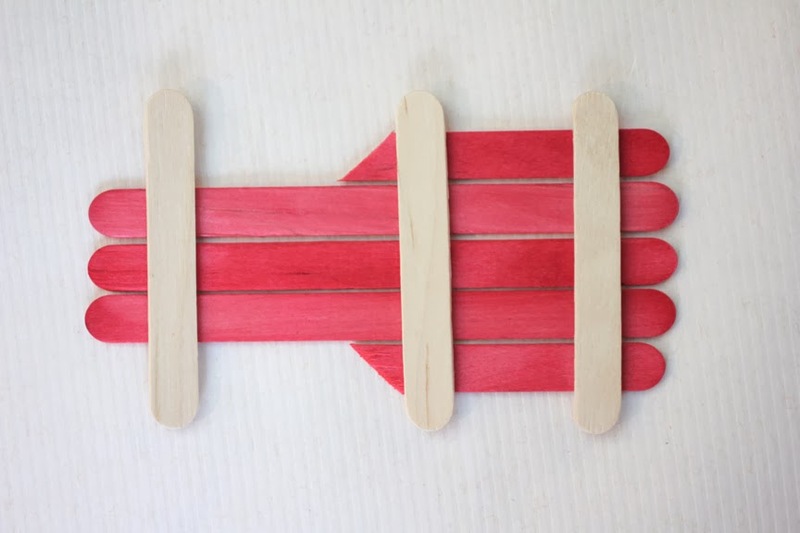 Flank 3 red crafts sticks with your diagonal cut half craft stick. 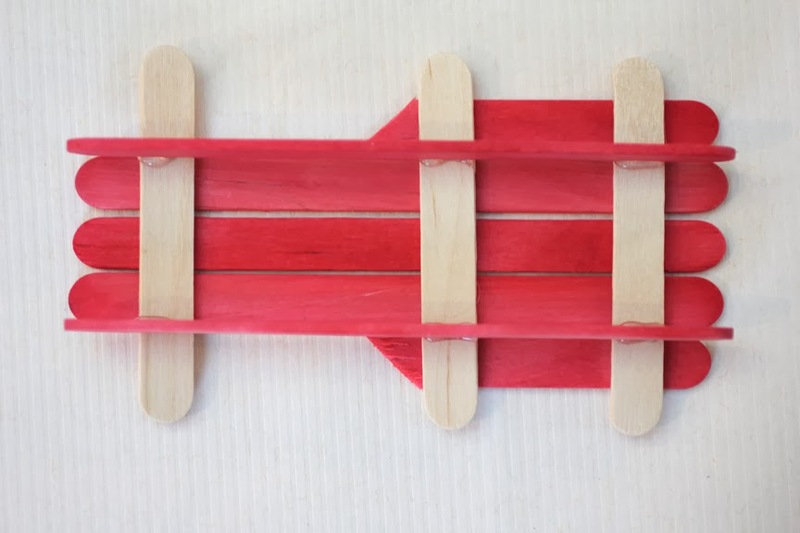 Flip over and glue your trimmed red craft stick on top. Glue ribbon, string or yarn on to either end of this stick to create the rope pull. Now you can glue on ribbon/string to the top of each ornament to hang around your house, in the window, or on your tree! Some of these products were given to me free by craftprojectideas.com. Some I purchased at Walmart. Check out craftprojectideas.com to find projects for preschoolers to tweens, holidays to rainy days, in the classroom or at home! I have never seen the colored sticks. But your idea is wonderful. These are so awesome! Will definitely be doing this with my 3 year old, thanks!